What’s your favorite meal? I have to be honest that I have too many to list. However, they have this in common–they have to have a great taste profile, sending my taste buds into the happy dance the moment they touch my tongue, and they have to look great–after all, we eat with our eyes first, and who wants to eat something that looks like goop or brown overcooked sludge. Not me! Never! Each meal I create has to speak not only to my mouth and my stomach, but it has to speak so loud it could catch my eye. What about you? Do you go for looks or taste? Since I am such a visual connoisseur, I have to make meals that are visually stimulating. At least to me. 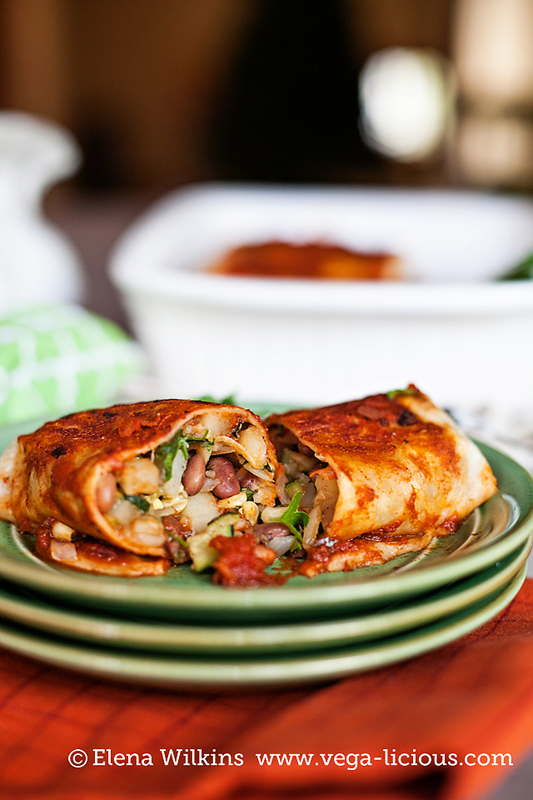 So, today I want to share one of my and my family’s favorite delicious and visually inspiring dishes–bean enchiladas. Go ahead! Take a look at the images! 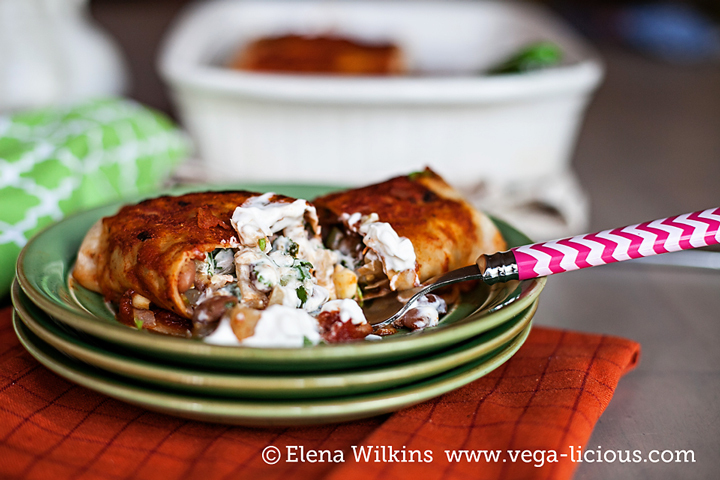 If they induce salivation, you have to make these enchiladas! 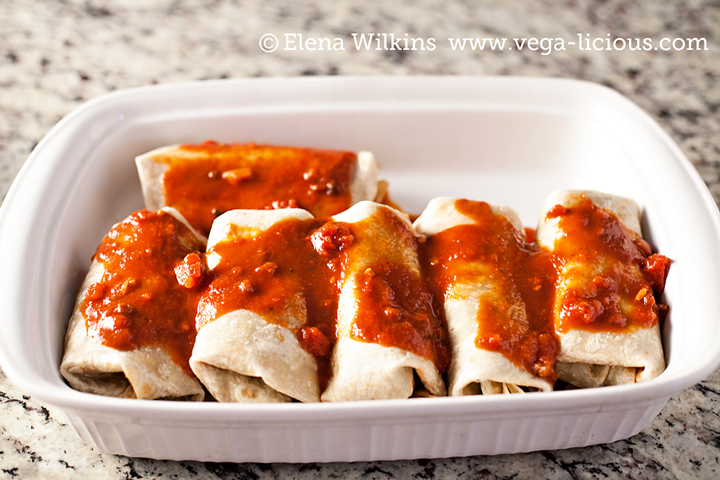 I made these low fat vegan enchiladas last week, so I could take pictures and write up the recipe. 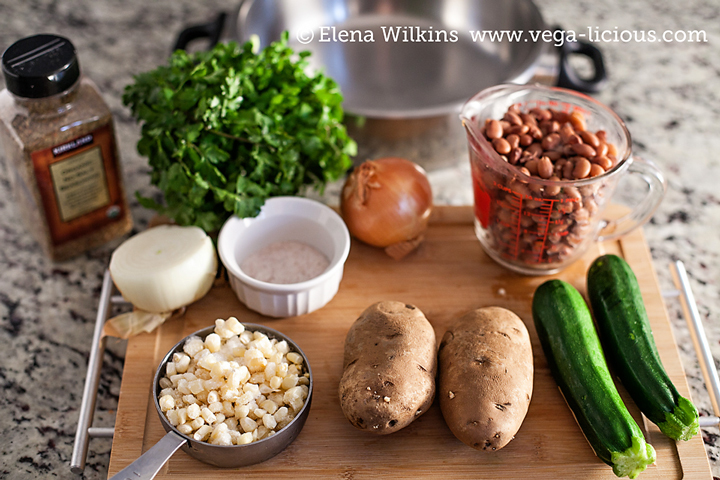 I had a non-vegan friend over who has truly Mexican roots, so she knows what good Mexican food should taste like. She loved them! I even probed her (and hubby) to give the recipe a rating. You know husbands–they speak to please, and, although mine has been well trained and pressured to be brutally honest about the foods I make, he is still a gentle, loving soul, and he knows where the next meal is coming from, so he is always gentle with the source. My friend, however, had nothing to lose if she told the truth, yet, she rated my enchiladas as great, although she pointed out that I rolled them up like burritos, which I did. 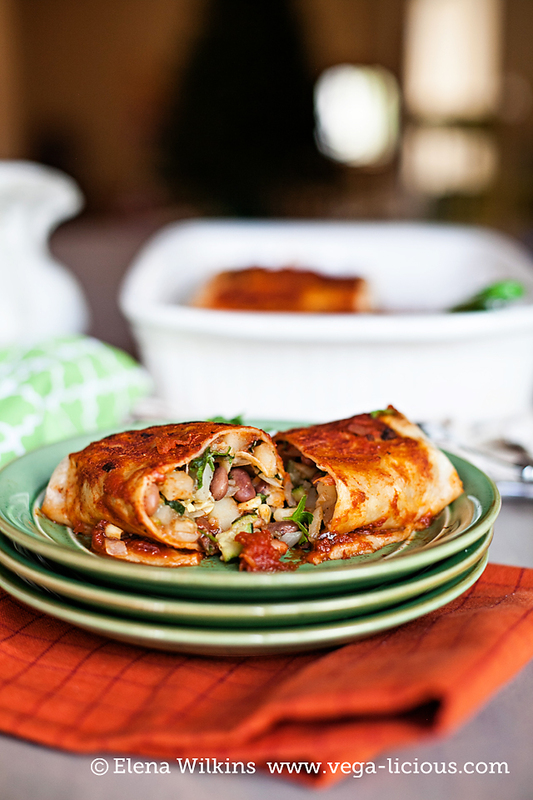 Traditional enchiladas are thin, filled with cheese and are rolled into perfect slender tubes. Mine, on the other hand, are the epitome of whole foods vegan eating–they are bigger, but with fewer calories, and won’t raise your cholesterol. On the contrary, these babies are filled with high fiber plant goodness, so, they will help you slimify your bod. 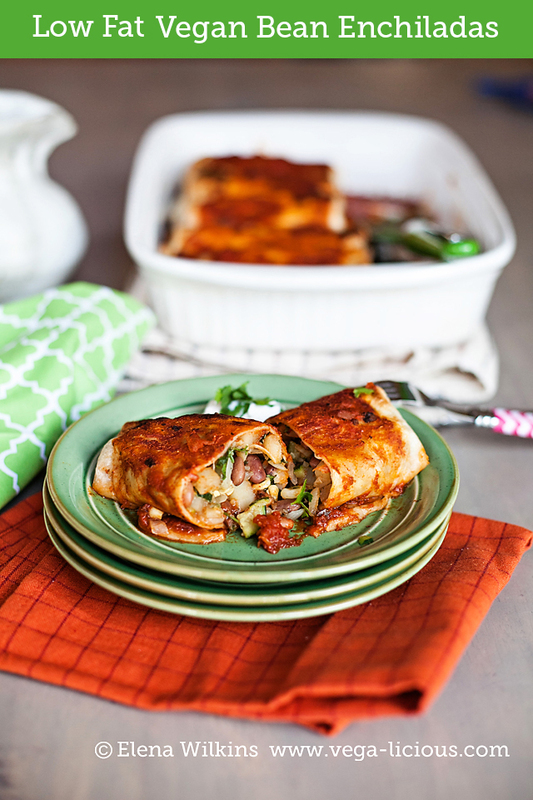 Healthy Enchiladas! Now, that’s something to savor as the phrase rolls off your tongue. Is that even possible. 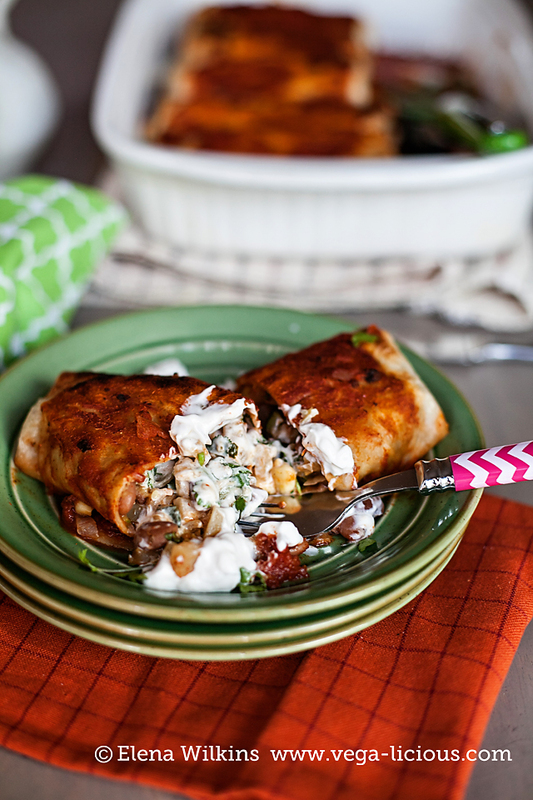 Enchiladas=healthy? And yet, here they are. And they are customizable! If you like spicy food, get HOT enchilada sauce. 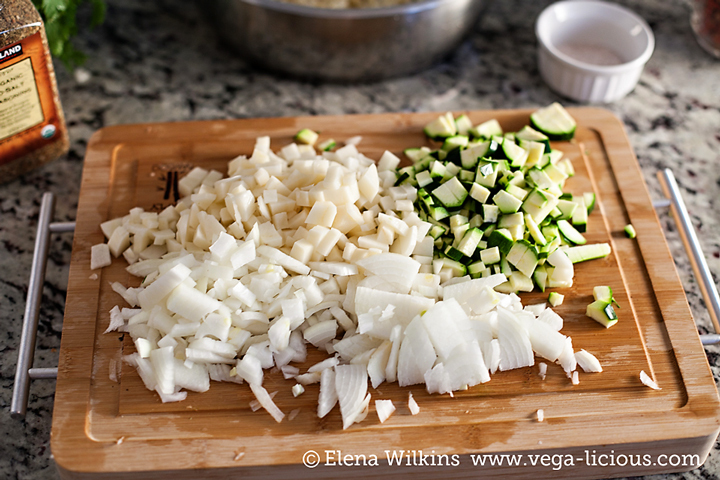 If you are a spicy food wuss like me (I have a palette of a ten year old when it comes to spicy food–it just ain’t for me :)), then dial it down and go for the MILD stuff, and even then you might want to dilute it with spaghetti sauce. Don’t feel sorry for me! I actually prefer to taste every ingredient on my plate, rather than drown my mouth with water, putting out the fire. 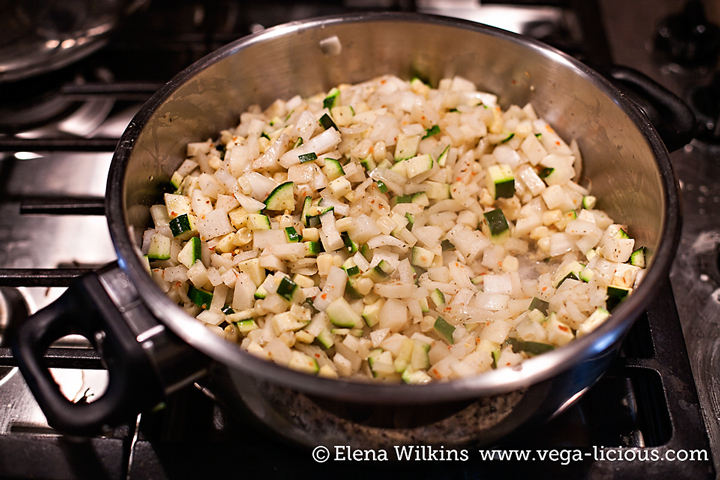 But, if it ever happens that I make something a tad too spicy, I have a trick to correct it. 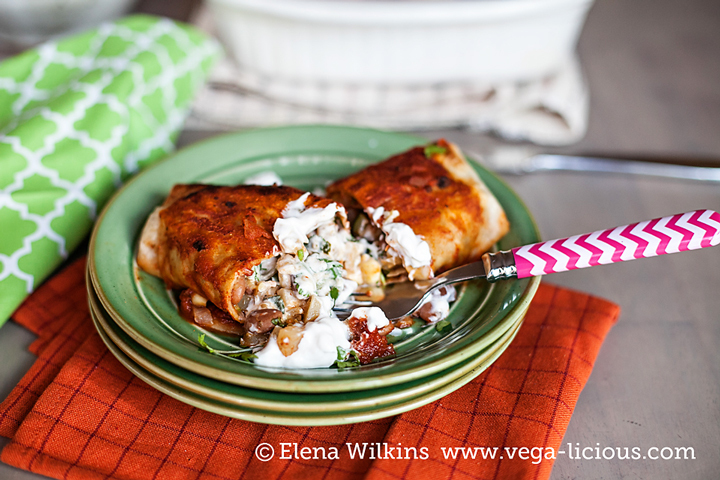 In case of enchiladas, I simply add a spoonful of vegan sour cream, and it becomes TASTE BUD HEAVEN! 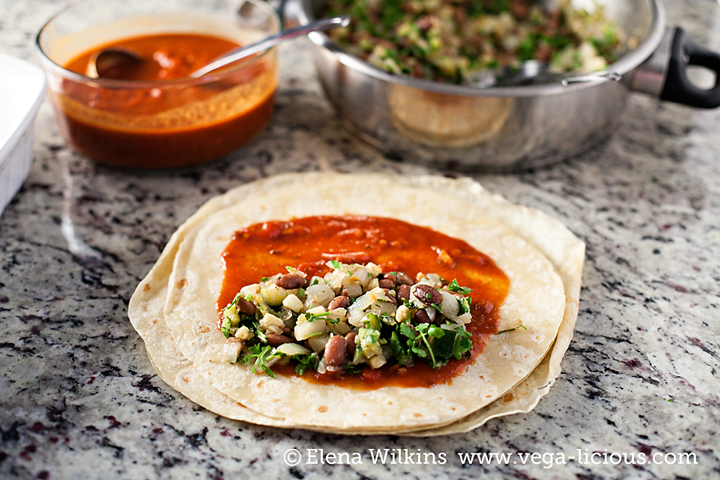 When fresh cilantro mixes with enchiladas, the veggies and sour cream, that’s the moment when my eyes might roll to the back of my head and I might check out of any conversation around the table–for a moment in time I am totally gone, engulfed in the goodness of food. Does that ever happen to you? In my case, when my food is really, really, and I mean REALLY good, and hubby happens to be talking to me, I raise my hand, close my eyes, and ask him to wait for a moment, until the seconds of food indulgence pass, as each bite slides down my throat into my digestive tract. I won’t you torture anymore, because as I am typing this, I am torturing myself–I want a hit of that taste in my mouth…and I just had dinner! So, here you go! Enjoy! 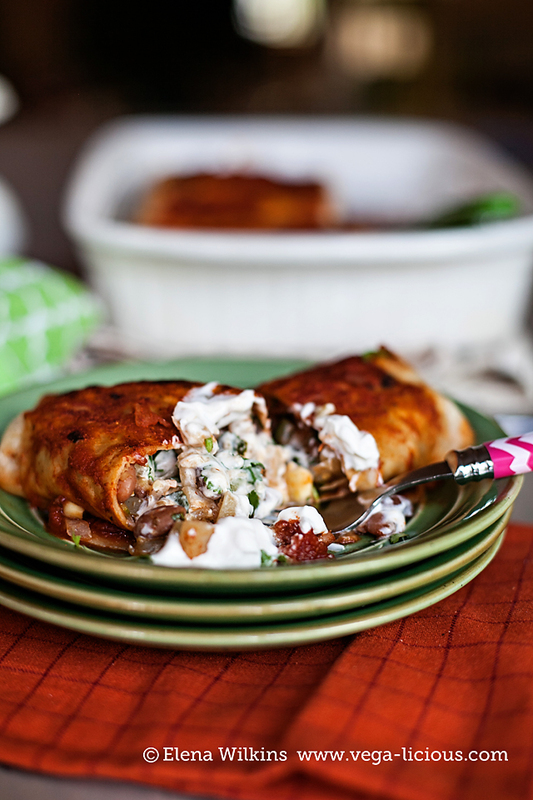 Feast your eyes on the low fat enchiladas when you make them, and then feast your mouth on ’em. in a separate bowl combine enchilada and spaghetti sauce. 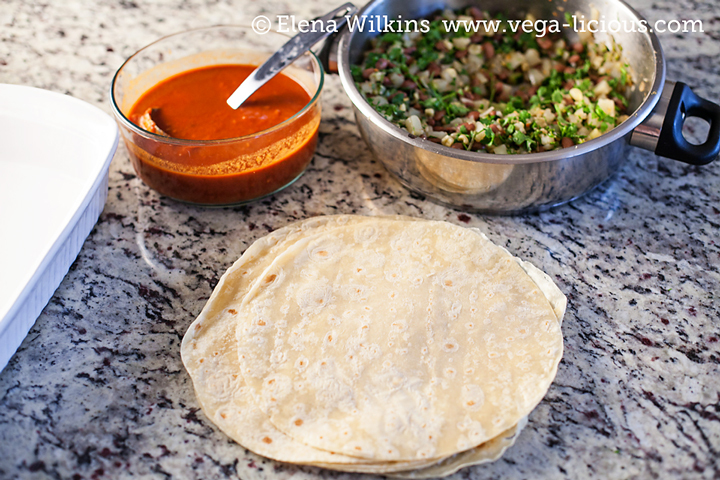 Enchiladas should store well for up to 4-5 days, refrigerated. They can also be individually frozen for a later enjoyment. If you love them, and I know that you will, let me know and share the recipe with others.